Meet Park Jun Woo and Park Yu Yeong, students from TMC Academy’s School of Tourism, Hospitality and Culinary Arts. One may not tell at first glance, but they are siblings. The shy and reserved elder brother is graduating from Higher Diploma while the bubbly and outspoken younger sister just started her Diploma this term. Not only do they share a common interest in the Hospitality and Tourism industry, good genes run in the family with both displaying outstanding results in their studies. Jun Woo’s affinity with TMC Academy started when he was working as a front desk officer in Korea. His mum had prompted him to further his studies abroad. After a recommendation from a family friend and some research, Jun Woo arrived at our school. He highlighted that one of the reasons he chose TMC Academy was the effectiveness in acquiring his desired qualifications that can boost his career in the hospitality industry. This is because our TMC qualification gives him a direct final year entry to obtaining a Bachelor’s Degree (Honours) at our university partner, University of Northampton or direct entry with credit exemptions at Griffith University’s on-campus Bachelor Degree programmes. Jun Woo also has the option of attending the prestigious Swiss Hotel Management School and completing his degree with a 5 months study term and 6 months internship programme. 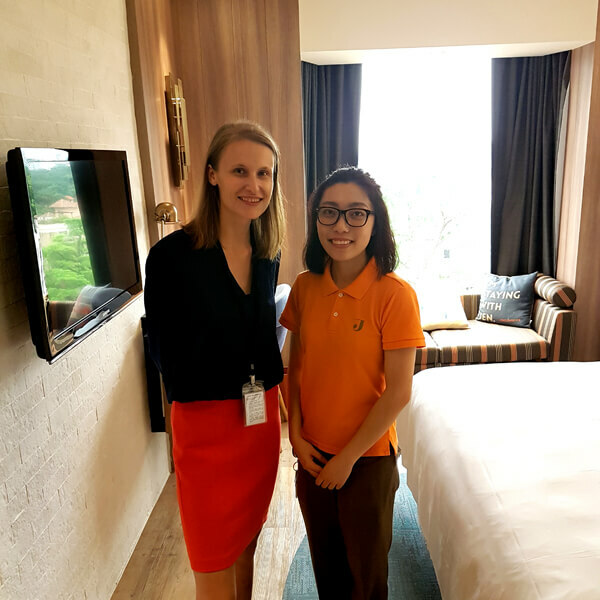 Mr Pinaki, Principal Lecturer at the School of Tourism, Hospitality & Culinary Arts described Jun Woo as a diligent and inquisitive student with a good command of the English language. Indeed, studying in Singapore has allowed Jun Woo to strengthen his English, both spoken and written. A good course programme is vital in contributing to our graduates’ success. TMC Academy set up Industry Advisory Boards to facilitate the review and continuous improvement of the TMC curriculum amongst many things. 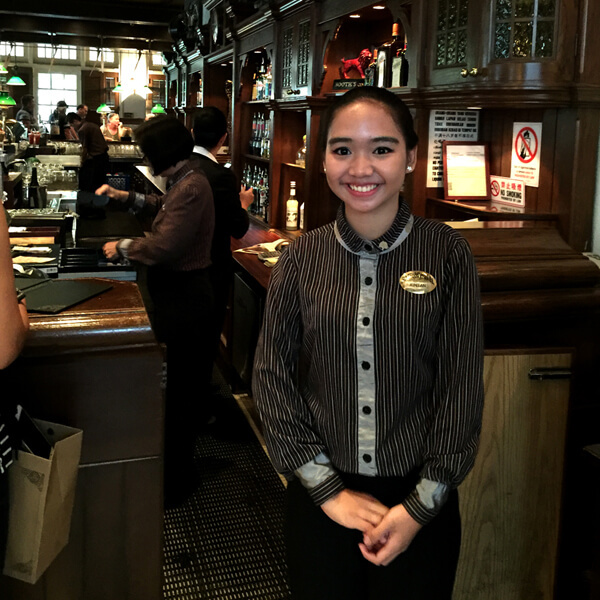 Our partnership with established associations and companies like the Intercontinental Hotels Group (IHG), Food and Beverage Management Association Singapore (FBMA) and the Association of Bartenders and Sommeliers Singapore (ABSS) also contributes to our curriculum development. Our courses are focused on management aspects of the industry, such as problem solving, providing strategic direction, innovation in product development, creating global image through products and experiences and more. 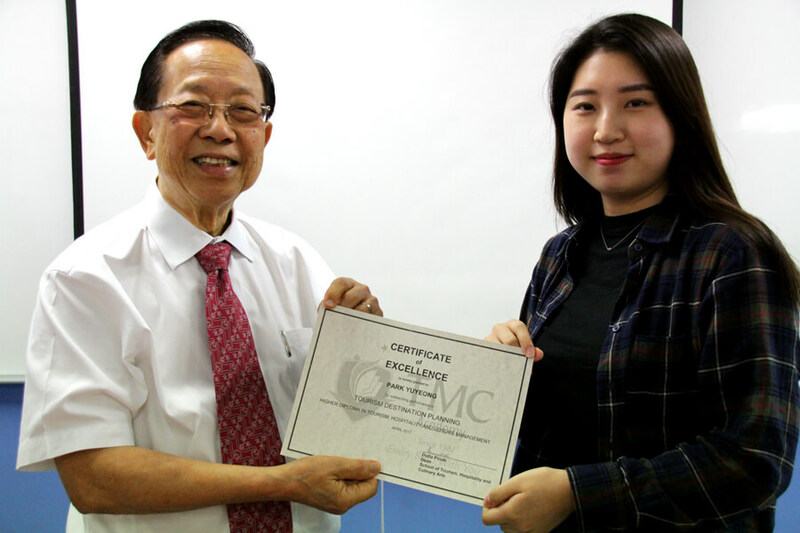 Yu Yeong, who just started her studies at TMC Academy, relayed that it was her brother who suggested her to study in Singapore, after she completed her Chinese studies in Taiwan. Jun Woo felt that she could further improve on both English and Chinese in Singapore, and study in the same school with him. Although at the initial stage, Jun Woo felt a little awkward with his sister around, he soon found himself feeling like a proud elder brother when he spots Yu Yeong studying at the library or the independent learning centre. 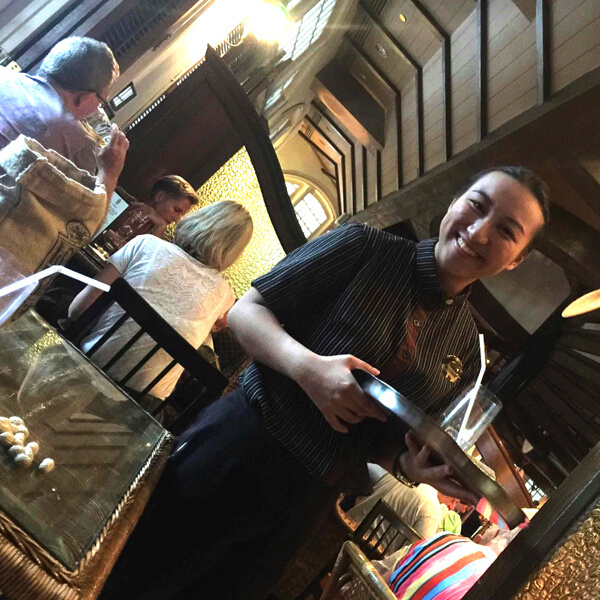 Yu Yeong endearingly shared, “My brother taught me a lot of things about the course to help me adapt and understand better. 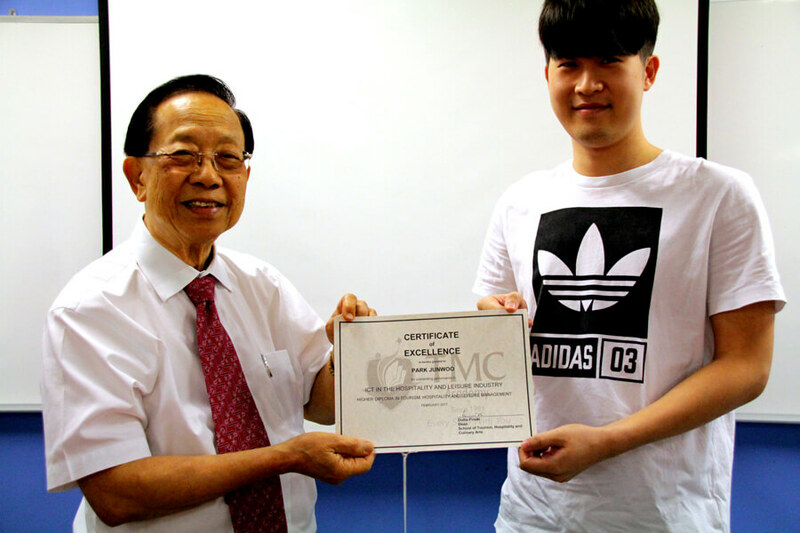 I truly enjoy studying with my brother at TMC.” When prompted for the most memorable moment in school with his sister, Jun Woo revealed that it was the day both of them received their award for outstanding performance (aww… we melt). Who ever said it was a bad idea to study with your sibling? Look at the chemistry and support the Park siblings gave each other during their course of studies. We wish them the best in all they endeavour!